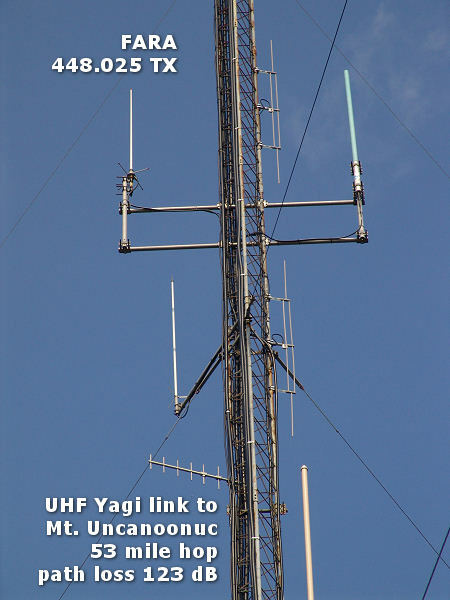 440: This UHF repeater is a project of the Framingham Amateur Radio Assoc and is coordinated to W1FY. This project is intended as a contribution to our country's potential emergency communications needs and has a direct connection to the state MEMA headquarters in Framingham. This is ultimately intended to provide a direct radio link to the 2-meter repeater on 147.150 MHz located at MEMA state headquarters in the Framingham bunker. 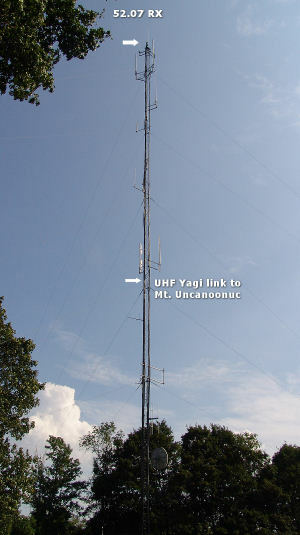 The ham antenna system is using a custom-built Telewave commercial UHF receiver multicoupler system with access to the highest receive antenna. With the exception of paying for electricity at cost, these repeaters occupy the tower on a pro-bono basis.